Choux pastry specialist Maitre Choux is the creation of three Michelin star chef Joakim Prat, and his business partner Jeremie Vaislic. Specialising in perfect and oh-so-pretty eclairs, choux and chouquettes , Joakim and Jeremie are on a mission to bring the highest quality pastries to the high street. With this at the heart of Maitre Choux, they have quickly become the go-to patisserie in London. 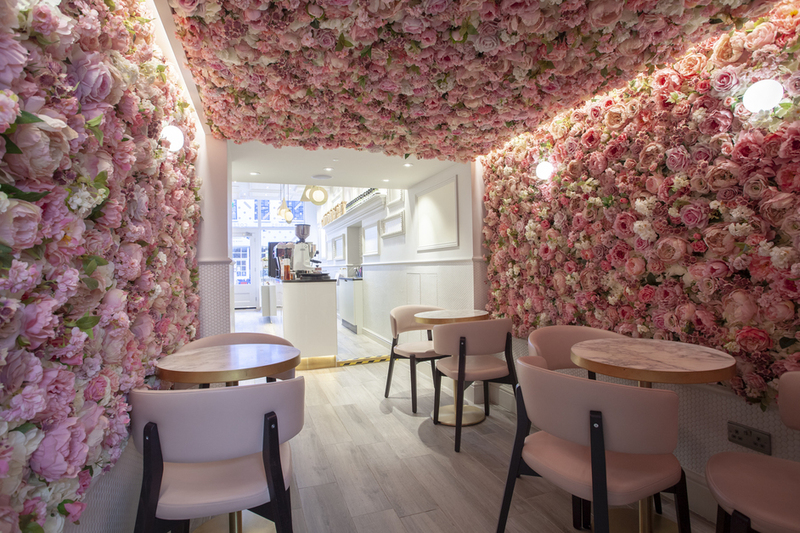 Maitre Choux now has three locations in London, in South Kensington, Soho and this shop on King's Road, as well as an outlet in Bicester Village. Visit the stores to take away a box of their sweet treats or eat in and try a Sweet Pink Afternoon Tea where you get to indulge in a pairing of eclairs and choux together with Laurent Perrier Champagne. Instagram heaven. What are the best dining options near Maitre Choux Chelsea London? Maitre Choux Chelsea gyms, sporting activities, health & beauty and fitness. The best pubs near London Maitre Choux Chelsea. Maitre Choux Chelsea clubs, bars, cabaret nights, casinos and interesting nightlife. Where to have your meeting, conference, exhibition, private dining or training course near Maitre Choux Chelsea. From cheap budget places to stay to luxury 5 star suites see our deals for Maitre Choux Chelsea hotels, including My Chelsea London from 75% off.